When you’re dealing with tooth pain or severe decay you may think that a tooth extraction is your only option. However, at our dental office in Mill Creek, we want all of our patients to know that there may be another option available that can save your tooth. Root canals have a bad reputation of being scary and painful, but the truth is the treatment itself actually makes the pain go away. 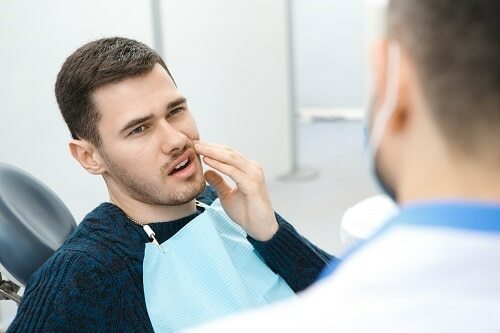 Your dentist in Mill Creek may recommend a root canal if a tooth has deep decay or infection, or sometimes even when a dental restoration is too big. Oftentimes, a root canal can be used instead of extracting a tooth. The best way to prevent an extraction or root canal treatment is to keep up with your dental checkups at least every six months. These visits allow the team at our Mill Creek dental office to monitor your oral health and catch any problems before they turn into something serious. If it’s been longer than six months since you’ve seen a dentist, or if you’re suffering from tooth pain, we welcome you to call and schedule an appointment with us today. We’re here to help make the best recommendation for you to get you out of pain.